Traditional marketing is becoming less and less effective, yet more inefficient, and has decreasing success rates. Customers are becoming more selective, more educated in the products and services they want, and ultimately they’re becoming better at blocking out unwanted sales pitches and advertising. 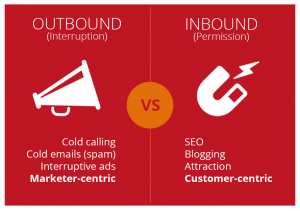 Enter the inbound marketing way. Inbound marketing is an approach built around giving the buyer control, educating, informing, and engaging them by creating content that attracts them to your website, products and services. Inbound marketing focuses on reaching the target audience and answering their questions before they’ve been asked, and solving their problems before they have to start looking for the defined solution. Inbound marketing acts like a magnet, bringing potential leads to you. 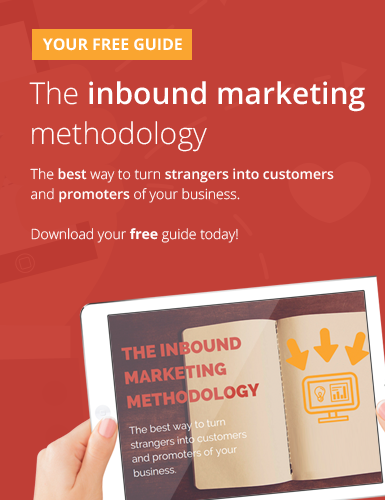 Inbound marketing turns strangers into promoters to help build your business organically. The inbound marketing process has 4 simple stages that take a stranger all the way through to a customer and ultimately a promoter of your business. 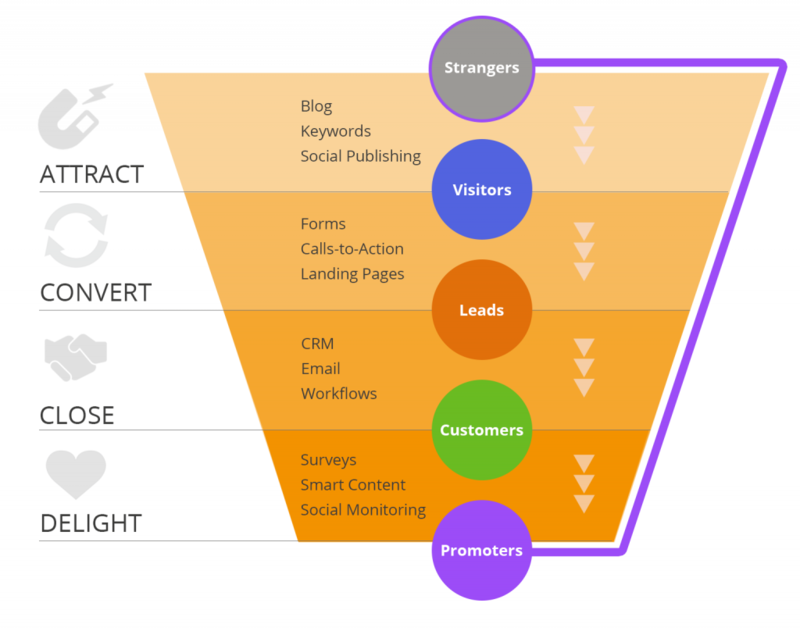 You can see that inbound marketing focuses on 4 main stages: attracting, converting, closing, and delighting. The illustration also shows the sorts of sales and marketing activities needed at each stage to move your prospects through the process. Analyse the success of your marketing campaigns, and determine which areas need further optimisation or personalisation for future success.